Stalin takes your food, money, dignity, and clothes. 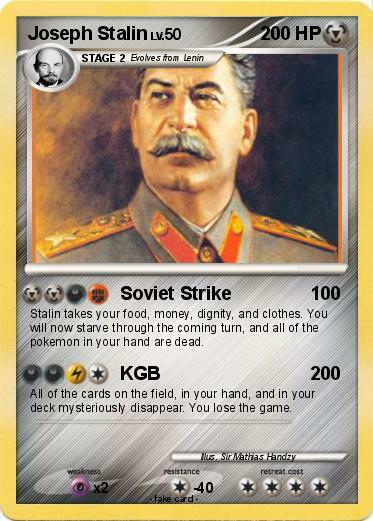 You will now starve through the coming turn, and all of the pokemon in your hand are dead. All of the cards on the field, in your hand, and in your deck mysteriously disappear. You lose the game.